Let’s start with Benjamin Moore’s official color of the year: Shadow (2117-30). Described as a “a rich, royal amethyst,” Shadow is an incredibly confident color.1 There’s something in this dark, purple hue that gives a room a sense of nostalgia without it going too vintage. Shadow goes great with modern, sleek lines and bold patterns, especially stark blacks and whites. 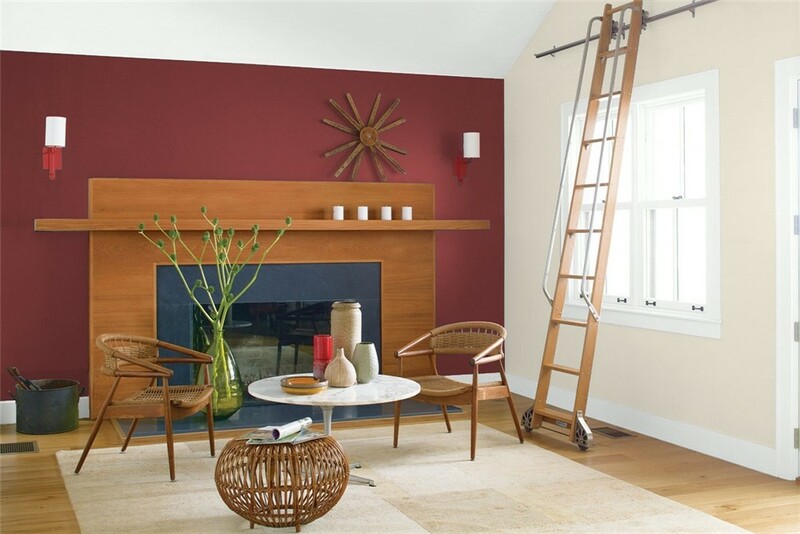 However, the shade is pretty versatile, as it also pairs surprisingly well with natural hues. In pictures, it’s clear that Shadow pulls out the best tones from wood furnishings and accoutrements. 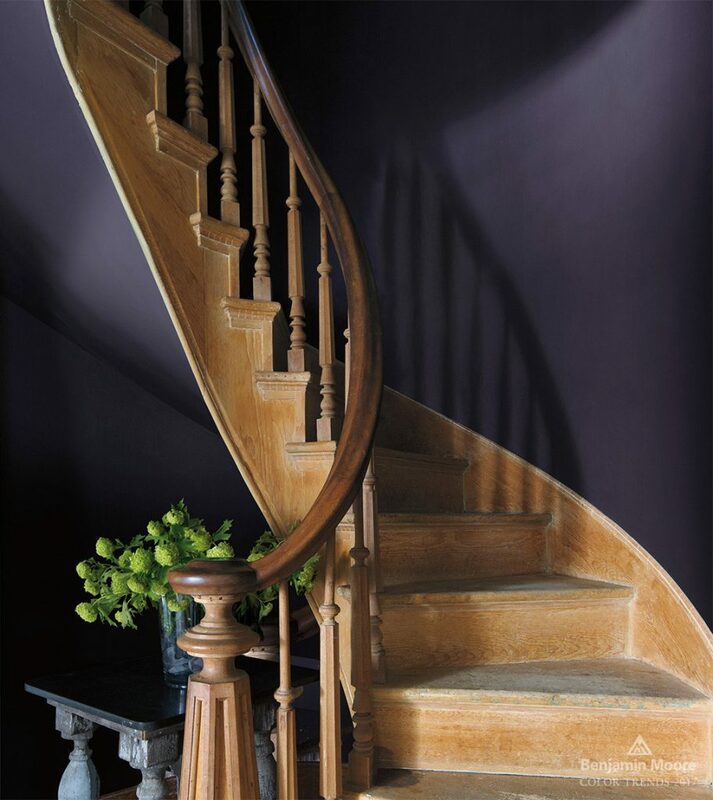 If you like the idea of Shadow – something emotionally evocative, deep, and with complexity depending on the time of day – but purple isn’t quite your aesthetic, then you’ll be happy to know that there are similar Benjamin Moore paint colors with different shades. Grandfather Clock Brown (2096-30) is a softer, warm brown that creates a timeless feeling in any room. Pair it with soft blues, creams, and pinks in a study or library for maximum charm. Dinner Party (AF-300) is the dark red sibling to Shadow. The shade has black undertones, which adds intrigue to any space and pairs wells with blacks and grays. Gentleman’s Gray (2062-20) is actually a navy-like blue with hints of black. It plays well with grays and other blues and can add some seriousness to a space, even as an accent. Salamander (2050-10) is a bold, saturated green. It has a relatively low light reflectance value for a green, meaning it can help ground brighter colors. Not everything trendy this year is so dark, and pastels continue to be a great starting point for designing and reimagining interiors. 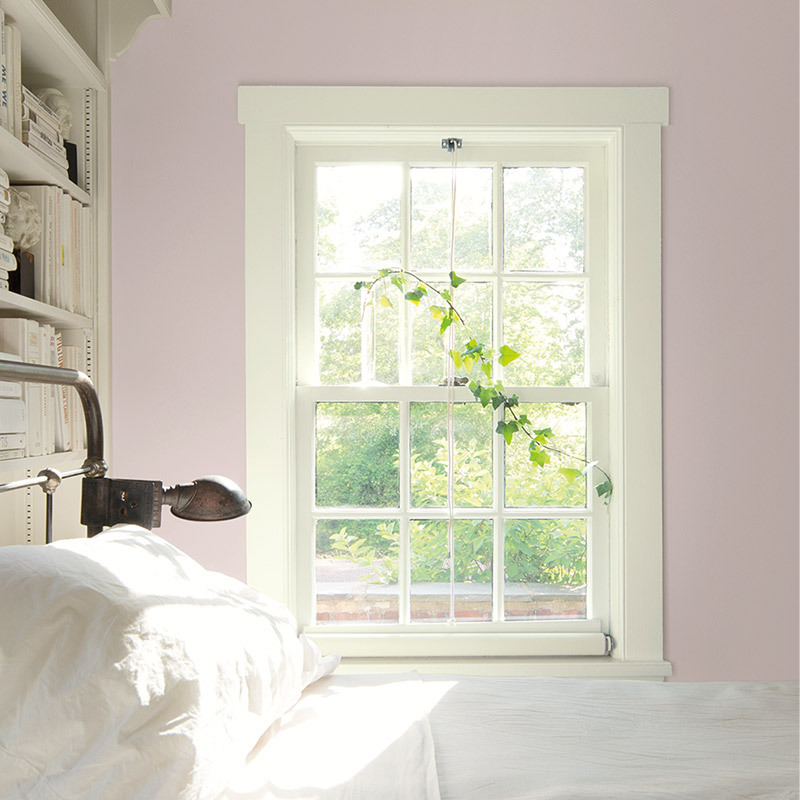 Unlike the confident colors above, Benjamin Moore’s Pink Bliss (2093-70) is more of a comfortable addition to a space, no matter its size. Pink Bliss in particular evokes happiness and pulls out delicate tones from the colors it is paired with. Because it’s so light, it works great as a neutral to pair with darker pinks, mauves, and purples. Only trusted experts like Brinkmann’s Hardware can claim to be in the Benjamin Moore paint store network. Because of this, we want to help you find the perfect paint for your next project. Contact us online or give us a call at 631-567-6879 for general help or dial 631-589-2462 to connect straight to our paint line.